Our product range includes a wide range of annunciator panel. We are one of the leading manufacturers and exporters of Annunciator Panel. 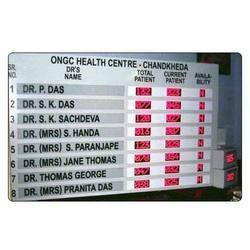 The offered annunciator panel is commonly used in hospitals and public places for the display of information. Our exported annunciator panel is a standalone display board for displaying the real time information. The offered annunciator panel is available at very economic market rates.